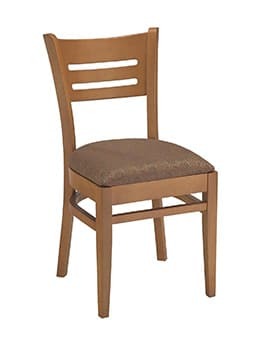 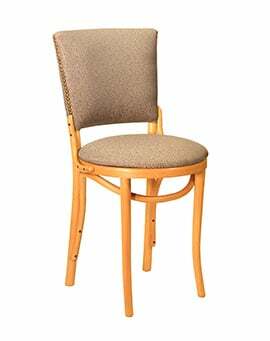 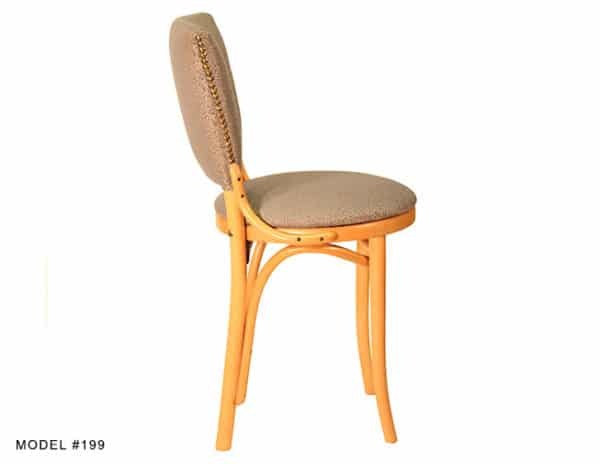 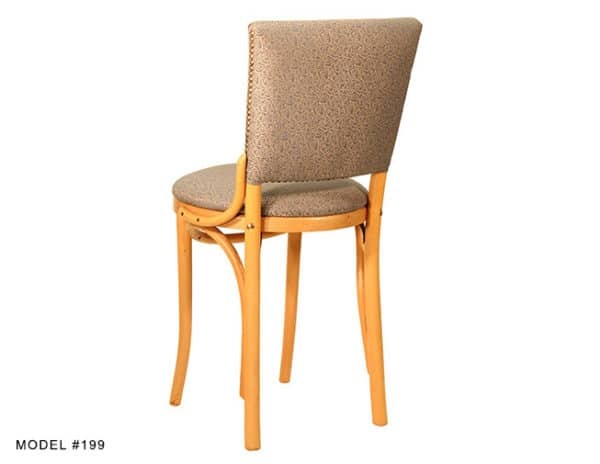 Bentwood Upholstered Back Cafe Chair – Model 199 – Restaurant Chairs by M. Deitz and Sons, Inc. 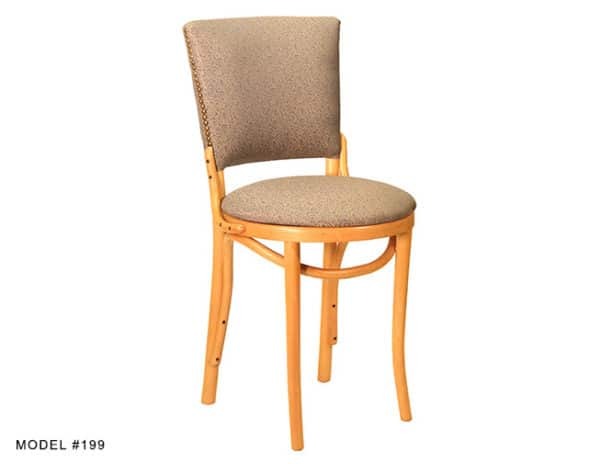 This upholstered back bentwood chair is a European cafe classic. 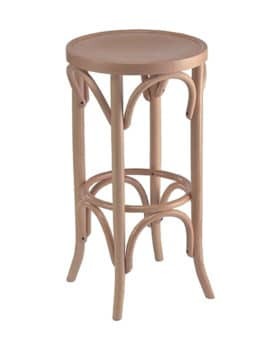 It has the distinctive curves, bends and details that are the hallmarks of a Thonet design. The solid bent construction, side braces and re-enforcement’s give it the strength and integrity to hold up in a hospitality setting with a stylish look and comfortable feel. 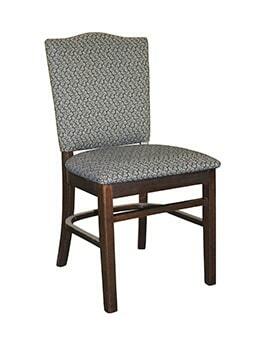 The wood frames are available in a variety of finishes and a matching backless bar stool is available. 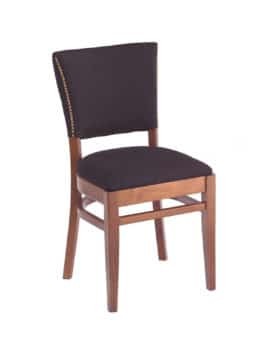 Items sold by M. Deitz & Sons, Inc. are warranted, to the original purchaser, for one year from date of shipment, to be free from defects in workmanship and material with normal use and service. 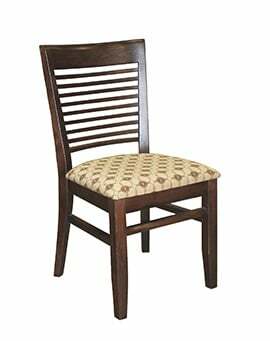 M. Deitz & Sons, Inc.
M. Deitz and Sons, Inc. is a 3rd generation family owned and operated contract furniture importer, manufacturer and distributor.